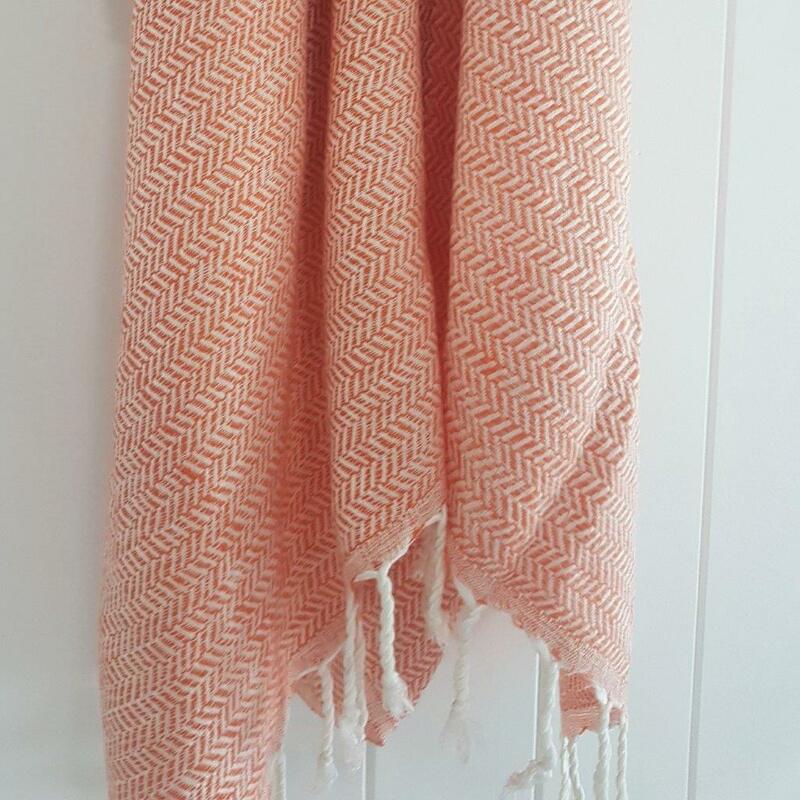 ZIG ZAG Peach Turkish towel or throw. Crafted by skilled Turkish artisans, using natural Turkish cotton. 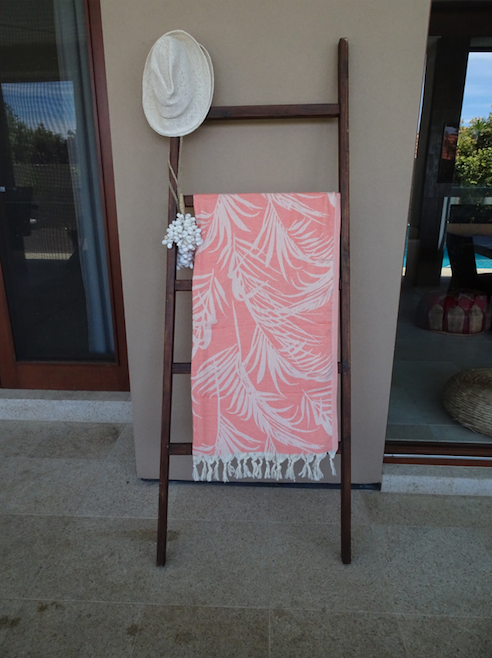 Perfect for beachside, poolside, bedroom or lounge! Dominant colour cross woven upon white yarn creating a subtle zig zag pattern throughout. Flat woven which makes them resistant to sand too! All Turkish throw towels need to be washed first before using. Wash in cold or very cool (30 degrees celcius) temperature. Do not use fabric softeners, bleach or similar. ** Fabric softeners coat the towel fibres so their absorbency is reduced. Every month or so, add a cup of white vinegar in the rinse cycle of your washing machine. This will kill bacteria, reduce any soap residue and acts as a natural fabric softener for your towel. **If there is a pulled thread in the throw towel. Gently pull the loose thread forward, cut gently with scissors and remove. Due to the unique weaving technique it will help hold the shape of the throw towel. Our tassels are hand knotted and can become unravelled. Split into two sections and twist each section clockwise until fully twisted. Take each section and wrap around each other in an anti-clockwise direction until fully twisted around each other. Tie a knot at the end of the tassel. 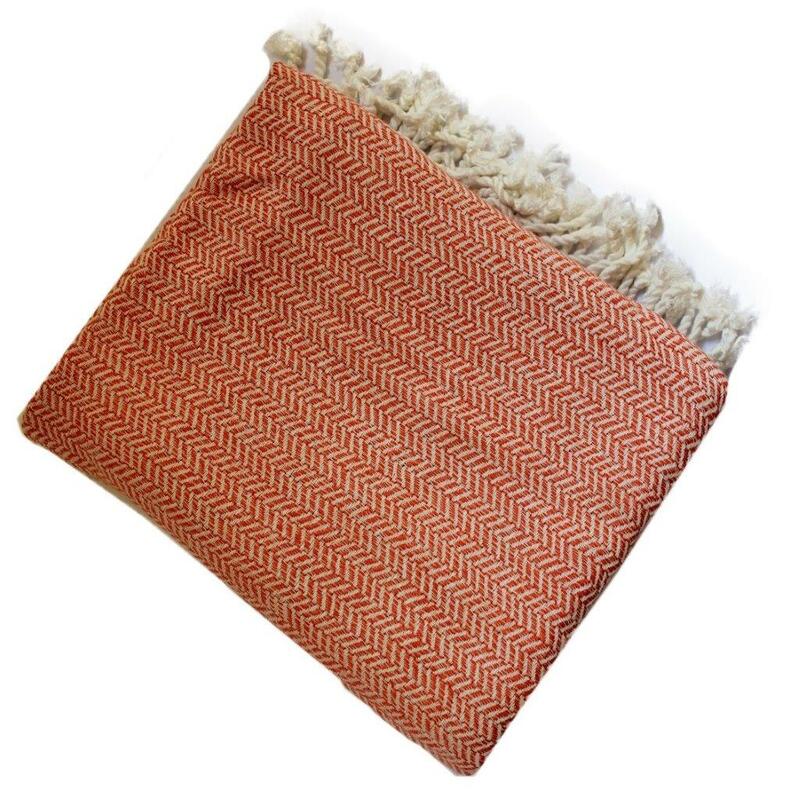 Due to the nature of our hand loomed or semi hand loomed throw towels , no two towels will be identical. They may have variations in colours or small irregularities in the weave of our hand loomed towels. This is part of the natural beauty as each one is made individually. © Outdoor Interiors 2017. Website Designed & Development by Clever Fox Creative. 10% OFF YOUR NEXT ORDER WHEN YOU SIGN UP NOW. Sign up now to hear about our new arrivals, special promotions and exclusive offers.